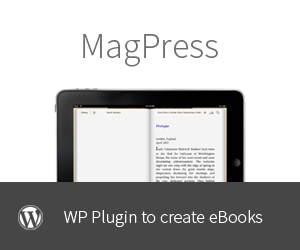 You can make some money with MagPress by referring it to your friends, clients, or website visitors. Our affiliate program is free to join and gives you some generous commissions. For each sale you get 50%. If the buyer enters a coupon code, you get 50% of the sale total. The affiliate service is provided by e-Junkie, payments are sent at the end of each month. There is no minimum amount for commission payment, if you make only one sale you still get paid for it. After registering as an affiliate at e-junkie, you get a special URL that links to our Sales Page. For every purchase made by customers who follow your link, you earn a generous 50% commission of the net sale amount. First, sign up for a free account at e-Junkie if you don’t already have an account. Once your e-Junkie account is set up, click this link to apply to the affiliate program. We pay our affiliates at the end of every month through e-Junkie. There is no minimum sales amount to get paid. 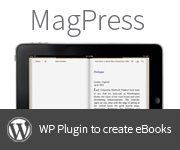 Chose one of our banners to promote MagPress.